The BARSKA Deluxe Tripod is ideal for large binoculars, spotting scopes, and telescopes. When it comes to the best telescope accessories, their quality must be reflected in everything, from design and price, to functionality and the producer’s customer support. 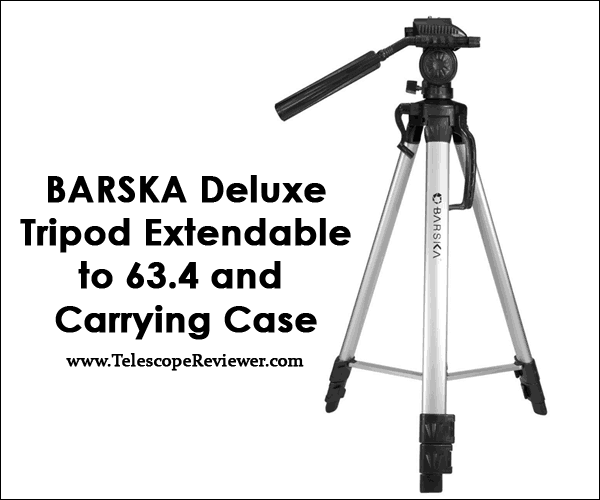 The BARSKA Deluxe Tripod extendable to 63.4 inches, plus its carrying case are a pair of telescope accessories that are just as good as the BARSKA telescopes you might be familiar with. If you want to observe the sky from different locations, you will need a tripod and tripod carrying case, therefore the BARSKA Deluxe Tripod extendable to 63.4 inches, and its carrying case is the perfect find for you. This metallic tripod comes in a protective carrying case that will substantially extend the life of your telescope, and will make your tripod even more portable. 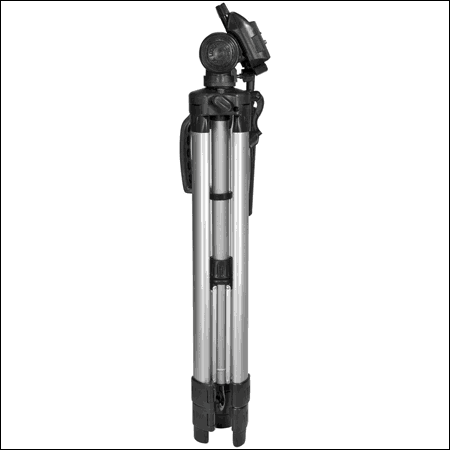 What is the BARSKA Deluxe Tripod Extendable to 63.4 inches with Carrying Case? 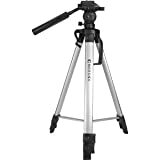 The BARSKA Deluxe Tripod is a sturdy metallic tripod that can be used for almost anything: different spotting activities, studies of nature, or even astronomical observation. Very versatile, this piece is ideal for all beginner astronomers who want to learn more about space and planets, while using celestial binoculars, or even a lightweight telescope. Binoculars and telescopes can be easily mounted on this piece with literally no effort. 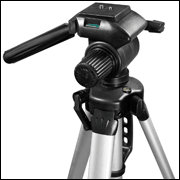 The tripod has a 2-way fluid head that makes mounting your telescope a child’s play. The quick release platform will make it easier to pack your scope and your tripod in extreme weather conditions such as heavy rain or an increase in the speed of the wind. The tripod’s legs can extend from 26.6 inches to 63.4 inches, providing the ideal height for celestial observation or for taking pictures. As a plus, the legs come with rubber feet that give extra stability and height to the tripod. Sometimes, if the optical instrument attached to the tripod is too heavy, and the piece is at full extension, the tripod may become a bit unstable. You can easily solve this problem by attaching a bit of weight to the hook provided on the tripod. The weight will balance the tripod, and will give you all the necessary stability. Price – this tripod’s affordable makes it an incredible purchase for both photography and astronomy enthusiasts. Ease of use – as soon as you get this tripod out of the box, you can mount your optical piece, and the star gazing can begin. Portability – this tripod is so light that you will want to carry it with you everywhere. Weighing only 3.86 pounds, this tripod fits perfectly in any bag, but you may want to keep it in its carrying case to prevent destroying it. Carrying case – having a carrying case will extend the life of your tripod, as the tripod will be safe from any exterior damage that may occur during transportation. Sturdiness – this tripod is quite sturdy, and gives you enough stability to observe and study your favorite celestial bodies. Versatility – this tripod can be used for almost anything, from cameras to telescopes. Contains a bit too much plastic – Even if you keep it in its case, pay some extra attention to the plastic parts, as these may suffer degradation faster than the metallic parts. The tripod doesn’t come with an altazimuth or equatorial mount – This is somehow both a pro and a con. Having some extra pieces to assist you in tracking celestial bodies is good, but the majority of telescopes come with their own altazimuth or equatorial mount, not to mention that sometimes, these elements need to be specially built for a certain type of telescope. The BARSKA Deluxe Tripod is a rather cheap tripod, suitable for all beginners, be they photographers or astronomers. 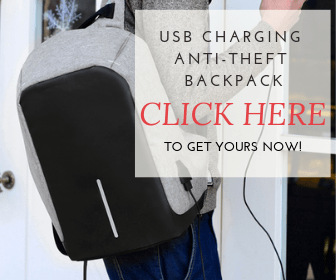 Its price starts at $42.55, including the carrying case. Probably, Amazon is the best place to purchase this tripod, as they offer a variety of discounts and special prices. Your product will arrive safely in a matter of days, and in case of any shipment problems, Amazon customer support is quite good. We strongly advise buying the tripod from an authorized shop or website, as it has a short warranty period, and can be quite fragile. Try to keep the tripod in a clean and dry place, as far as possible from humidity. Clean the plastic components as rare as possible, as they may break. Keeping the tripod in the case really makes the difference. Whenever you travel, take the case with you, and try not to use the tripod in places that are too dirty. To clean the tripod, you should use a clean, soft cloth, a brush (you can even use a toothbrush), some silicone grease, and even some non-invasive cleaning products. Don’t rub too hard, and try not to lose the small parts. Wash the legs of the tripod, one at a time, dry them, and then apply a little bit of silicone grease on the moving parts. Do not apply to much of the grease. The BARSKA Deluxe Tripod Extendable to 63.4 inches comes with a carrying case, perfect for whenever you want to take your tripod with you for a night observation. The case will protect your tripod, and will extend its life considerably. 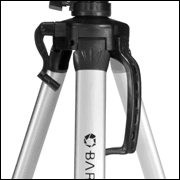 The BARSKA Deluxe Tripod comes with a one year limited warranty, but you can also request a manufacturer’s warranty, from customer service, so in case the set has any obvious defects, you can have it replaced. The BARSKA Deluxe Tripod is one of the best tripods currently on the market, specially made for lightweight telescopes, binoculars, and cameras. This tripod would make a great asset for a beginner astronomer, as well as for a more experienced one. Also, this scope accessory can be a great gift that will make people get out more, and start exploring the universe or their surroundings. Besides that, the tripod comes with an excellent carrying case that will extend the life of your piece. A durable and compact item, this tripod will help you to explore space and the terrestrial surroundings, whenever and wherever you want. If you don’t have a tripod for your scope yet, this set is a great one to start with. Have you ever used it before? Let us know about your experience in the comments section.